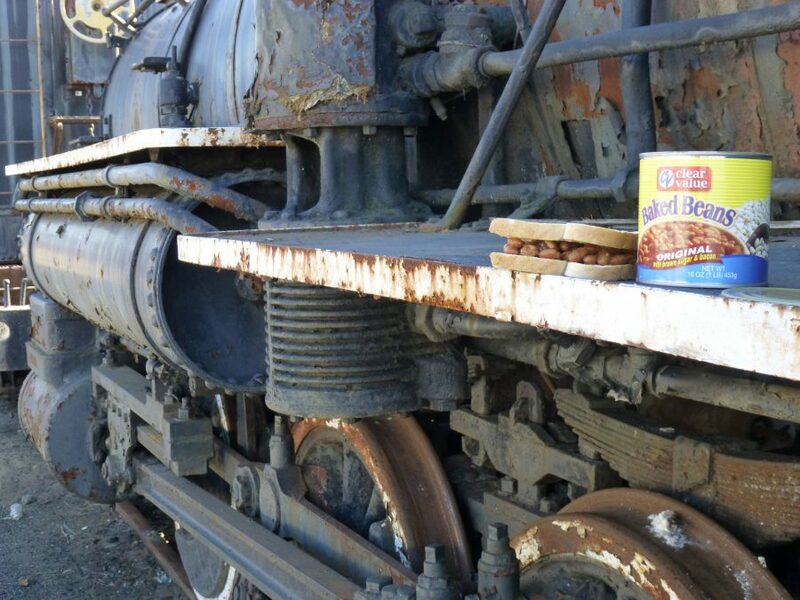 You can’t get closer to true than having a baked bean sandwich in an old rail yard. Hopping from train to train makes it hard to keep fresh food around. Maybe that stale bread isn’t so stale yet. That can of baked beans doesn’t have to be heated up. Just slather on some butter and you have yourself a good-looking, protein-rich sandwich that might last you until the next station. Even if you don’t, you have a whole can of beans to get you through. If you’re lucky, you might even get to taste that flavor nugget of pork fat that was preserved in the can for flavor.